. إن Carlton Apartments حريص على توفير الراحة للنزلاء، فلا يوفر الموظفون جهداً في تقديم أفضل الخدمات وضمان حسن الاستقبال. يقدم الفندق واي فاي في المناطق العامة, صف السيارات, التوصيل من وإلى المطار, غرفة عائلية, مرافق للشواء لضمان الراحة القصوى لضيوفه. لقد جهزت هذه الإقامة الفندقية بعناية فائقة لتوفر مستوى عالي من الراحة. في بعض الغرف يجد النزيل اتصال لاسلكي بالإنترنت, غرف لغير المدخنين, مكيف هواء, تدفئة, مكتب. يقدم الفندق العديد من الفرص للاستجمام كمثل مسار جولف - ضمن 3 كم, حمام سباحة خارجي, حديقة, رياضات مائية (غير آلية). يشكل Carlton Apartments بخدماته الراقية وموقعه الممتاز، قاعدة مثالية للاستمتاع بإقامتك في جولد كوست. Great location, across the road from the beach, short walk to Cavill Avenue. It could be a little noisy at times with the street noise. We booked a one bedroom apartment and were given a two bedroom apartment, with the 2nd bathroom and bedroom locked. When I called staff about the en-suite being very stuffy and hot, as it had no fan it was no trouble for the staff to come and unlock the 2nd bathroom and let us use that for no extra charge, which I was very greatfull for. We would stay again and just take a few extra cooking utensils to be able to cook a bigger range of things for dinners. I have stayed overnight at this venue a number of times. It is close to beach, just across the road, with different eateries within walking distance. The staff have always been friendly and very helpful. 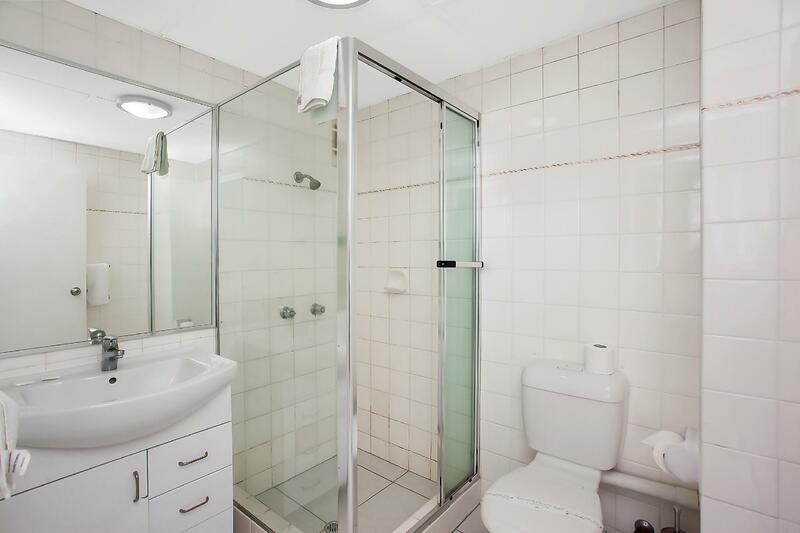 It’s a good place with close proximity to surfers paradise . I was let down only because the staff hadn’t provided me with the twin bed that I had originally requested . I ended up sleeping on the couch ! And there was no one available to complain so I had to live with it . Rest everything was just perfect. We book and paid ocean view apartment, end up we get a non ocean view apartment. We try check in early around 11.20am, but they ask us go back at least 1 hour later. We go back around 1.20pm, nobody at counter. That is ok as check in time is 2pm. When we go back at slightly before 2pm, then keep calling the urgent contact number until 2.35pm only able to check in. They charge me 2 night for ocean view, as their record is wrong. But they got refund me next day. The suggest me to report to Agoda as we get a non ocean view apartment, which mske us quite disappointing. As we really hope that our apartment is facing the surfers paradise. Great location, wasn't very clean went to use sandwich maker and it was dirty and still had egg or cheese still all over it and pans were dirty as well. Went to check out at 10am as stated and no one was there we waited rang the bell on the counter for over 20 minutes and no one came we saw a cleaner and asked her she tried to ring the reception manager and they had no answer so she said just to leave the keys with her. Overall location was great but not happy with the service and cleanlisness. no more ocean view. dont waste your money for ocean view things.... but overall was a nice room.. The stay was average. The 2bedroom 1bathroom apartment was sufficient to fit 4 of us. However there was no cleanup services during your stay & you have to disposed off rubbish yourself. Fortunately we can park our car in the basement area. For short stay this apartment would suffice. The unit looks a bit weary and old compared to the photos advertised. Oceanview blocked by another taller and bigger unit. 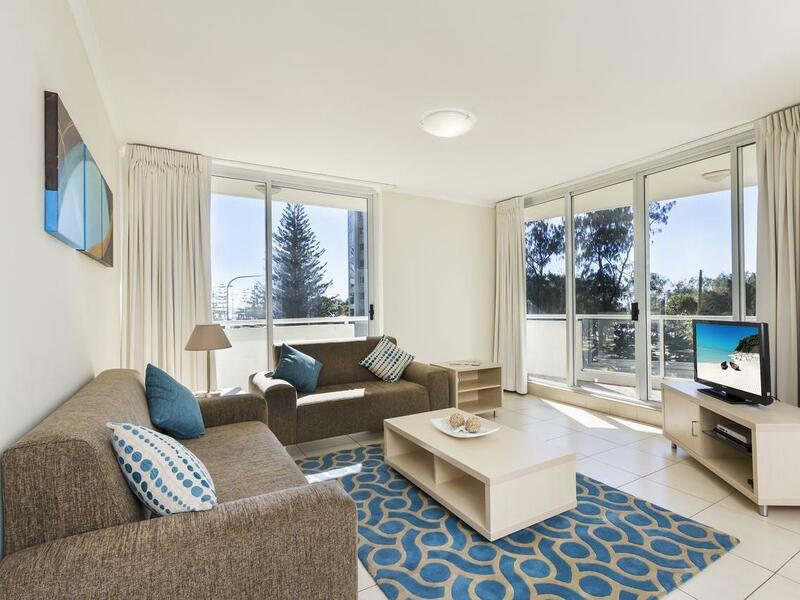 Just 3 minutes walk to the Surfer Paradise Beachfront Market. (Stayed at a 2 bedroom unit after the Christmas holidays). The fan in the bedroom doesn't work . The microwave doesn't work. I booked a sea view and there is definately no sea In my view! Very disappointing and imbarasing !!!!!! Pretty good. Got what we paid for. Staff went out of their way to help us check in early/late so that we could drop off bags and head to theme parks. Very neat and clean, very spacious. Everything was good, except the bed cover were very thin. Room was very cold. 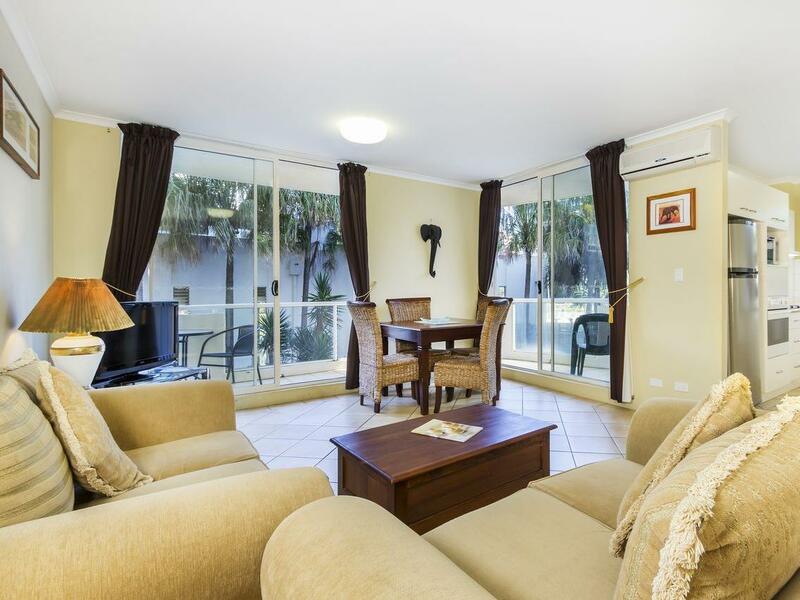 Location to the beach and location to Surfers Paradise was excellent. The location is the only thing this place has going for it. The stay at Carlton Apartments was really quite poor. The location is superb for this property, but the facilities and service were nothing short of appalling. The carpark smelt like a rubbish tip. The reception area smelt like an Indian restaurant. The check in procedure was simply, sign here and make sure you take all the rubbish out of the room or we will charge you extra to clean. Beds and towells only changed weekly. The lady at reception, who I assume was one of the proepry managers, could not have been less interested in whether we were satsified or not. The rooms were ordinary. 2 bedroom apartment with a 2 seater sofa that must have been 30 years old and another single chair. Outside, there were 3 rickety chairs on the so called verandah and there were 4 of us staying there. Mismatch of cutelry and dinnerware, nothing over and above done for us to make out stay more enjoyable. This place is most certainly not a “serviced” apartment, it is a “here is your key and good luck” apartment. Run a mile; this place was no good. 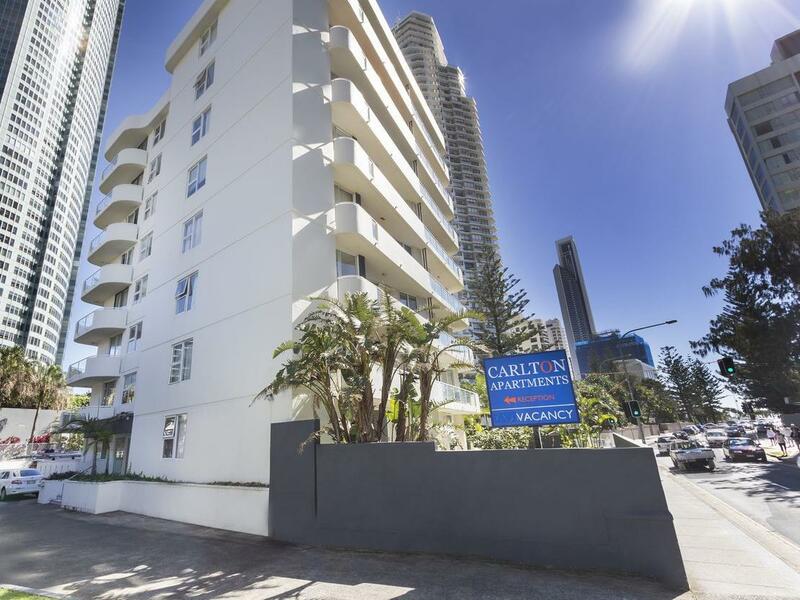 Capacious, neat and clean close to surfer paradise and shopping market. Worth for money. nice place and comfortable privacy ensured. difficult to find on navigation by its name. the best way is to put north cliffe terrace as house and clifford street and at the corner of it u will find it. rooms are very tidy, neat, clean and comfortable. customer care is available from 8:30 am to 5:00 pm. they charge u for after hours. cable and tv is not good, only foxtel channels available which i could not see even.